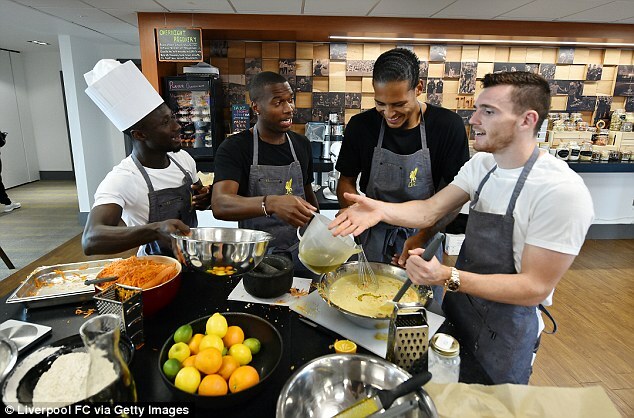 Liverpool stars Virgil van Dijk, Naby Keita, Andy Robertson and Daniel Sturridge donned their aprons and baked up a storm for their team-mates after losing a training ground competition. 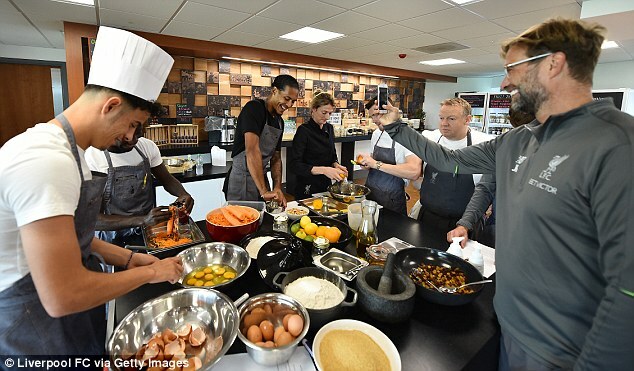 The quartet, plus youngster Curtis Jones and fitness coach Conall Murtagh, spent their time after Wednesday’s training session rustling up carrot cakes under the watchful eye of head of nutrition Mona Nemmer. 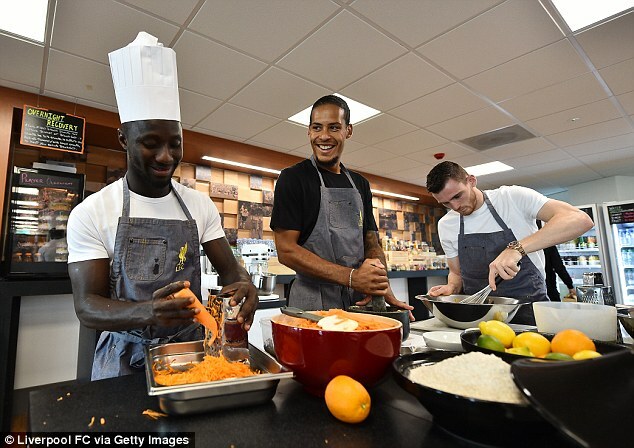 While the six were put to work in the training ground canteen, Sadio Mane, Mohamed Salah and Roberto Firmino watched on with glee. Nemmer and her team of kitchen staff laid out vast quantities of ingredients for the losers to work with, and were on hand to keep them on task throughout. Vast quantities of carrots and oranges were sliced and diced up to add to the mixture as the players got their hands dirty. Several more turned up during their task to take photos and inspect their progress after losing the aptly-named Melwood Cake Baking Tournament. 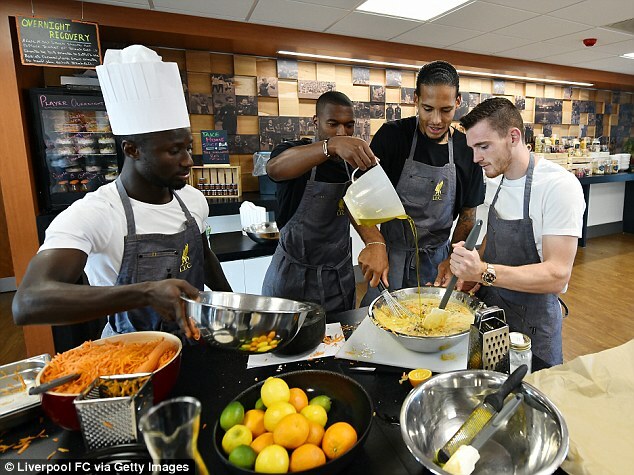 The results of their labours will be served up to team-mates and training ground staff on Thursday morning. Liverpool have been flying on the pitch this season, recording three wins from their first three fixtures. Next up they face a visit to Leicester, who have made an encouraging start under Claude Puel. Yet with Manchester City dropping points at Wolves last weekend, Jurgen Klopp’s men will be keen to press home their advantage early in the season.